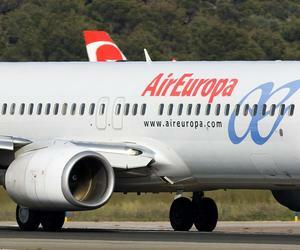 Air Europa will include a Boeing 787 Dreamliner, one of the newest planes in the world, to cover the Madrid-Havana route, announced in the Cuban Ministry of Tourism. The aircraft, that arrived in Havana this Wednesday and will fly on daily basis, carries 296 passengers, 22 of them in executive class, according to a MINTUR press release. This is an important event not only for aviation, but for Cuban tourism since it shows a favorable environment for the foreign investment and businesses in the island, it continues.